I’ve just been helping to brief artists on the covers for my next two books. It’s exciting but also slightly daunting: now I’ve really got the write the damn things! They’re not just synopses any more, they’re things that are going to have to happen. For Dust I’ve been in contact with Tomislav Tikulin. It looks like it’s going to be a classic apocalypse-fest with, I hope, a retro 70s feel, all crumbling cityscapes and abandoned cars, and I can’t wait to see the final result. As for Redlaw, Clint Langley of 2000AD fame is doing the honours, and I can’t wait to see what he comes up with either. I’m envisioning a kind of “Solomon Kane battling vampires in the modern world” approach (that’s certainly the tone I’m going for in the novel itself). I long ago learned, however, that it’s best to leave the artists to determine the image. They know what they’re doing. 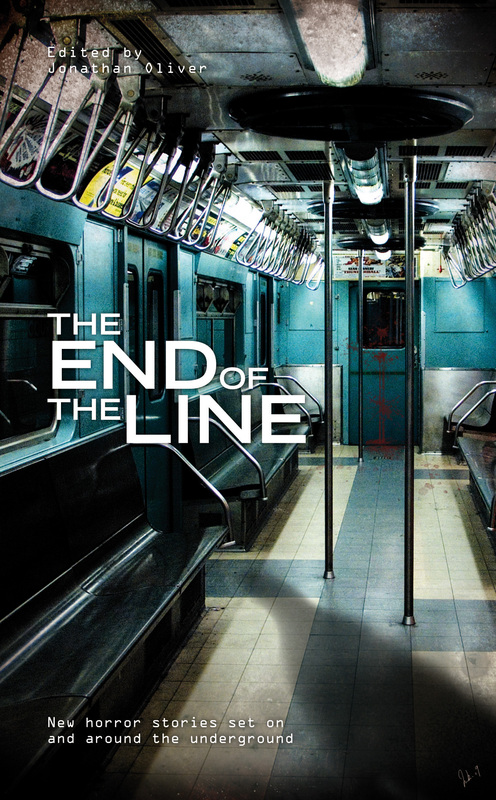 Sticking to the subject of covers, here’s one for Solaris’s upcoming anthology End Of The Line, edited by the inestimable Jon Oliver and based on the theme of the London Underground. It comes courtesy of Solaris’s own design wizard Luke Preece, and I reproduce it here not only because it’s ineffably understated and cool but because I’ve contributed a story to the collection, “Siding 13”. 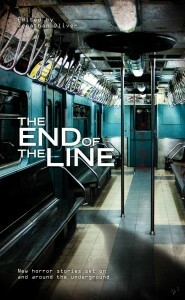 End Of The Line is out in November. This is what Solaris themselves have to say about it and this is what Dark Wolf website has to say about what Solaris has to say about it. A mouth-watering line-up of authors, wouldn’t you agree? Looking forward to getting my author copies!